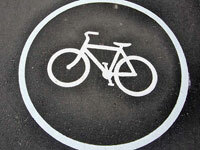 Should cyclists have their own lane on Singapore roads? 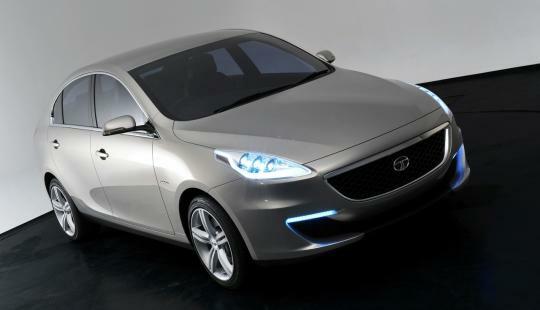 Are you ready for an Indian sedan ? Following its world premiere at last year's Geneva Salon, Tata brought its oddly named Pr1ma concept car back home for the New Delhi motor show. 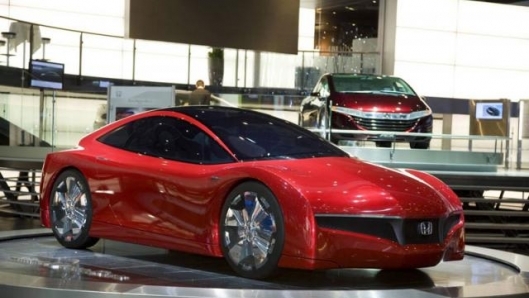 Designed and built by famous Italian coachbuilder Pininfarina, the Pr1ma is suppose to offer an indication of how the next generation of Tata saloons could be stylistically interpreted. Finally! LTA announces a date for the new OPC scheme! I don't mean to sound pompous but perhaps someone at LTA actually read my entry 3 weeks ago and decided to get their act together. They've finally announced a date for when the new OPC scheme will be implemented. Ah, the 166, 164, 155, 75, 159, 147, 33..... All of these are numbers that actually relate to models of Alfa Romeo. I love Alfas, in one form or the other they stir something deep down in me. No, not my loins but a certain flutter in the heart, my knees go weak and my head goes light. The feeling is somewhat similar to being in love I suppose, or the feeling you would have if either Eva Longoria or Mila Jovovich just passed you by and flirted at you. But somehow these were cars that were designated mere numerals and this fact somehow does not dilute the Alfa Romeo passion in most of us. Even if we cannot bring ourselves to rush out and buy one. But things are getting better, Alfa Romeo is going back to the good ol' days of the 1960s and 1970s where they named most of their cars. Its not like it has been an Alfa habit to either name or number their cars. While we are aware that some of the classics like the 8c 2600 models from the 1930s or the Tipo 33 models were basically model numbers. But somehow cars with names seem more magnificent. 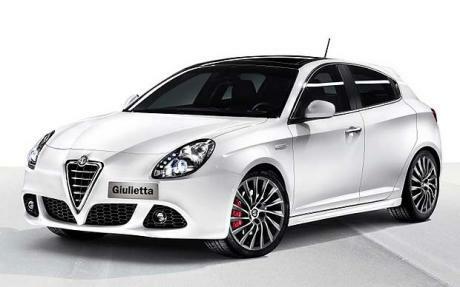 Imagine the words 'Alfa Romeo Brera' rolling off the tip of your tongue or 'Alfa Romeo Giulietta'. Say it with an Italian accent and it sounds spectacular. Another non-Alfa example that makes the most sense in proving this argument is that other Italian car company called Maserati. The word 'Quattroporte' sounds exotic but all it means is 'four doors' yet it sounds like something epic. Yet if it were an American or an English manufacture, I strongly state that if Alfa named their cars 'Rufus', 'Chuck', 'Blair' or 'Mortimer' things would be so different, and really horrific. On 3 Jan 2010, there was a special section on The Straits Times featuring cars that will arrive in Singapore during 2010. 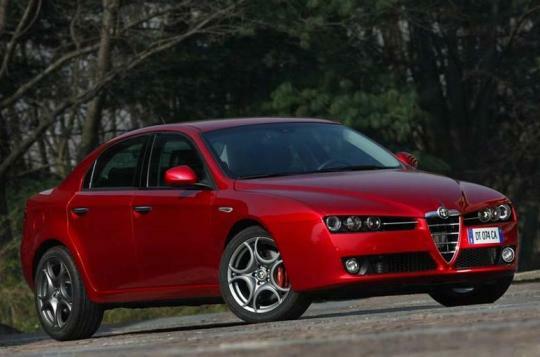 I was abit disappointed not to see the Alfa Romeo 159 1750 TBi. 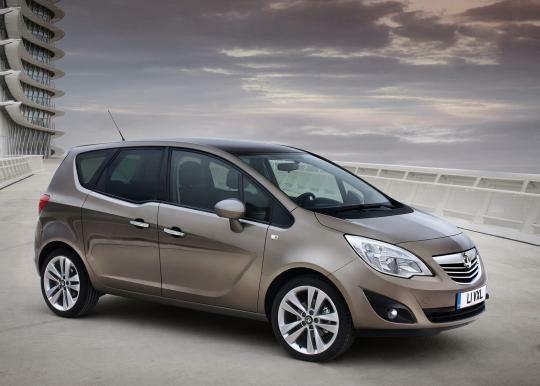 General Motors' UK arm, Vauxhall and consequently Opel, has just pulled the covers off the all-new Meriva. The new mini-MPV is the first Opel to feature GM's FlexDoor technology, showcased on the 2008 Meriva concept model. LTA first implemented the Electronic Road Pricing system back in September of 1998 as a means of curbing increasing traffic in the city area. Ok, if I pretended to be a little naive, I could almost believe that they were genuinely implementing the system to aid in traffic flow. The revenue generating aspect of the system was just a fringe benefit. That was 12 years ago. 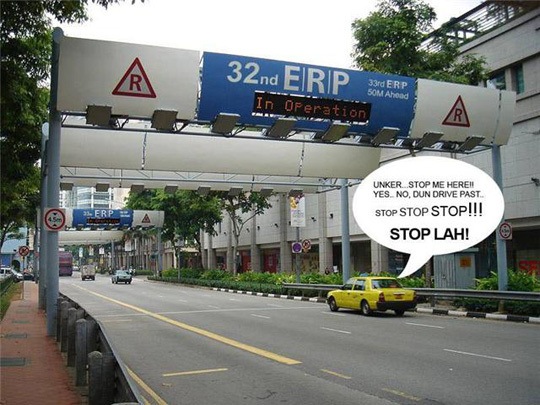 Some how I get the feeling that the ERP has slowly shifted into its primary purpose over the years. These days, it's more of a revenue generating instrument for the government than a traffic regulating system. Off-roading enthusiast? You might wanna see this! For the sake of those who doesn't watch professional wrestling, Hornswoggle is a dwarf currently working for the World Wrestling Entertainment. When I saw this video on the Aston Martin Cygnet, it reminds me of Hornswoggle - a midget among the giants. Just as Volkswagen released a revised DSG equipped Jetta 1.6 in Singapore, news of an all new 2011 Jetta has been floating around on the internet. The above video shows the development of VW's next generation bread-and-butter model in Death Valley, California. The camouflaged prototype model seen in the spy video suggests that the new Jetta will boast all-new sheetmetal with a pinch of Audi A4 styling cues in the profile and rear-end. From the video, I observed that the new model has a more muscular side profile as compared to the existing model. Nice!. However, the dashboard of the prototype looks rather conservative. I hope that the dashboard will look better in actual production. The Malaysian Insider as well as some other local websites has reported that General Motors (GM) have picked the Naza Group to distribute its Chevrolet range of vehicles in Malaysia, a few days after divorcing itself from the DRB-Hicom conglomerate. GM�s Thai unit signed a memorandum of understanding with Naza to distribute the cars and parts in Malaysia, which is one of the largest passenger car markets in Southeast Asia. Naza, which began as a luxury car importer using the Approved Permits (AP) system utilized in Malaysia, said further announcements of the partnership details will be made known after the agreement is formalised. The nerds from BMW have united for BMW's Innovation Days Event. These are no ordinary nerds... These are nerds from Germany, one of the most pedantic and precise countries in the world. The event was held at BMW's Technology Development Hub or FITZ as they like to call it, in Munich. And boy did they come up with some intriguing stuff. 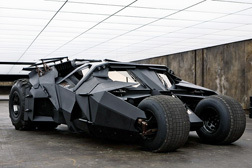 Does batman ever get parking fines? Parking attendants. Love 'em (Ha!) or hate 'em they're always there and they were there last night. Waiting in the shadows for an unsuspecting owner like me to leave his car so they can plant their revolting white paper slips on my windshield. Last night was the second time this month that these 'educators' have imparted a lesson onto a new car owner like me. Unfortunately, the 'tuition fee' last night was much higher than the lesson was worth. Seriously though, I truly suspect that these parking attendants spend part of their probation training with the Commandos or Navy SEALs. They appear when you least expect it and they slip away so quietly you'll never know they were there and leaving only their white slips behind. Honda Motor Company has announced plans to unveil their Small Car Concept at the Delhi Auto Expo in India from 5 Jan to 11 2010. The whole idea of this particular concept car is to create a small and affordable Honda especially for India and other developing countries. 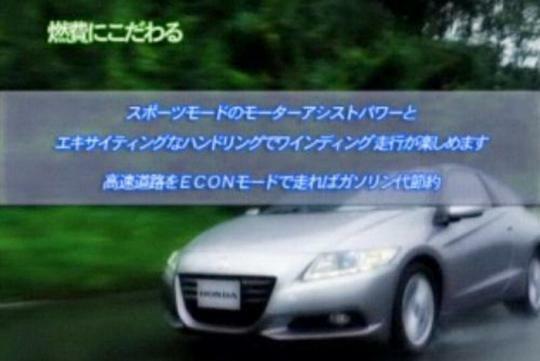 Honda CRZ hybrid coupe. The rebirth of the CRX? It seems that 2010 may be the return of the small Honda sports car. Carscoop has managed to procure the supposed brochure for the new Honda CRZ and it looks pretty good with touches of the old EF series Honda CRX of 1988-1992. Especially at the rear with its split glass rear hatch. The front end is another interpretation of the current Honda design philosophy. 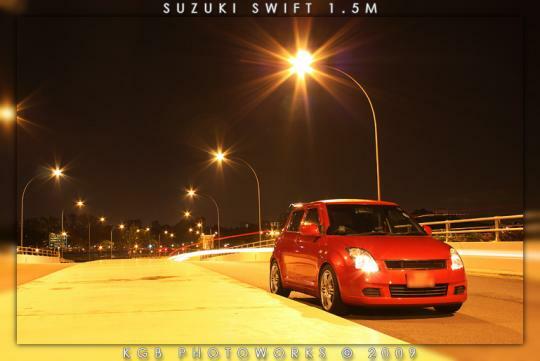 It is a small car with a wheelbase of 2435mm, length, width and height is 4080 mm, 1740 mm and 1395 mm respectively. 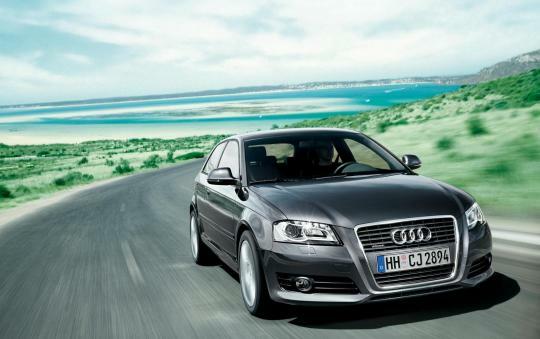 The 1.5liter 4 cylinder petrol engine makes 113 bhp at 6,000 rpm and 145 Nm of torque at 4,800 rpm. The electric motor meanwhile produces a measly 13.4 bhp at 1,500 rpm and 78Nm at 1,000 rpm. Unusual for a hybrid but great for the enthusiast, the CR-Z comes with a six-speed manual transmission in place of the common CVT used most Honda hybrids. The sprint from 0 to 100 km/h will take 9.7 seconds. Which in my mind is kind of lame.Compared with the EF series CRX with its 1.6liter 125bhp non-VTEC model, around 8.5secs, and the full monty 158bhp first generation B16A VTEC engine and 7.5 seconds, the CRZ with its 9.7 seconds is incredibly disappointing. It may be down to the weight. Latest crash protection, added refinement and of course lots of batteries for the electric motor may have made it into a heavier than expected sports car. I was actually hoping for another helping of big VTEC medicine in a small package, but it looks like I may have to wait for a TypeR version. Fingers crossed. Yeap! 2009 has been dusted and we're in the presence of 2010, a year that holds much promise and continued success for some and for others, the continuing fight to stay in the black. And if you're wondering, LTA did release the sales figures of the various brands in Singapore last month. Besides the disheartening jump in the number of units from brands like Lamborghini, Ferrari, Maserati, Aston Martin and Bentley, the lesser Continental brands and the Koreans have also made good with the injection of all new products that boast not only good fittings but attractive and daring styling respectively. Audi, on the back of record sales last year spearheaded by it's R8 supercar will be introducing no less than five different models throughout this year, the MINI-challenging A1, A7, A8, Q5 Hybrid and the R8 Spyder. Probably the most anticipated of the lot by most of you guys, the R8 isn't on my list of the cars to watch in 2010. Why? We've now read in here that the new Mazda RX7 may make a reappearance within the next few years. This fact has made a lot of car enthusiasts happy, including me. Throughout the years I have had my bottom in the seat of one of these models whether as a passenger or as a driver, starting from a friend's first generation �Savana� FB series, the second generation FC series to the revered third generation FD series �Efini�. The Wankel rotary engine utilized in the RX7, while somehow sounding pretty perverted, is turbine like in smoothness and is extremely refined even in turbo state. 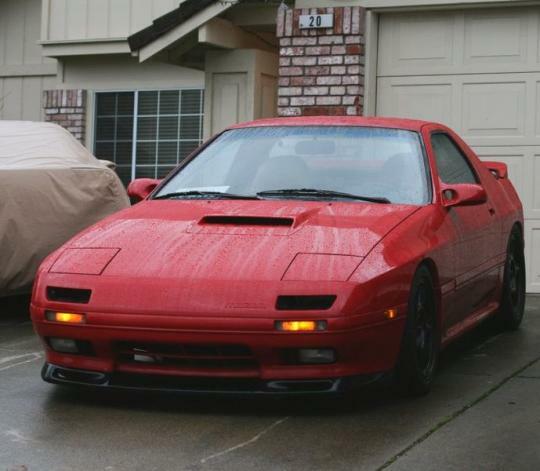 Aside from occasional oil seal failures to the engine and the fact that it seems to love petrol more than most normal 4 stroke engines driving and owning any of the past RX7s is a pretty good thing to do if you're a car enthusiast. Mazda's in general have surprisingly good build quality as well as interiors that feel good to the touch and lasts a long time. The ride of most RX7s are pretty good, hard but very acceptable and trips throughout the Peninsular Malaysia would not be tiring, if you kept the shocks stock of course. I think this is mainly down to the rigid nature of the car itself as well as Mazda's engineers doing it right with the suspension in the first place. Talk about a diesel powered car some 20 years ago would bring about the image of black smoke emitted from the exhaust pipe. However, today's modern diesel car engine is nothing like the smoky, dirty motors of the past. They are extremely clean, powerful and efficient. 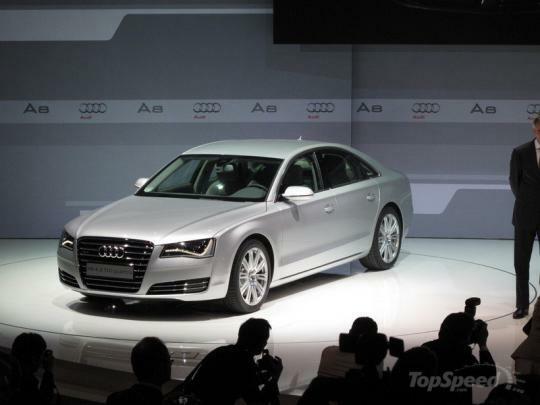 The Audi A5 3.0 TDI quattro that was launched in Singapore some time in Mid 2009 can testify to this statement. 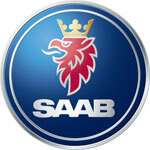 GM has announced that it has extended its deadline for potential bidders of Saab, in a move that hands the Swedish car-maker a lifeline for survival. 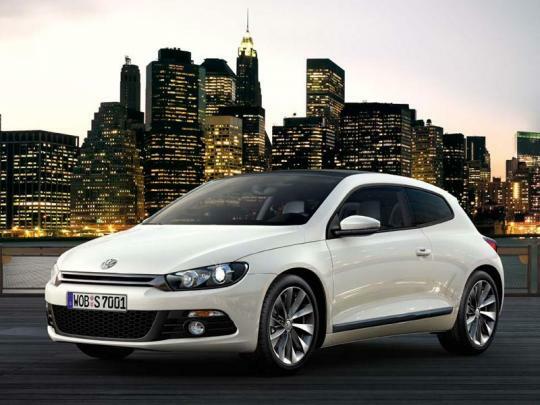 In Singapore, the current entry-level VW Scirocco is fitted to with the 1.4L Twincharged engine. However, a new entry-level 1.4 TSI (Single Turbo) model could be arriving in the near future as evident in its recent launch in UK. It is the same unit that powers the entry level 122bhp Golf.